Eyes are often the first thing a person notices about another person. Unfortunately the eyes are also one of the first facial features to show age. The delicate skin of the eye area makes it more susceptible to sun and environmental damage. In addition to that, the loss of collagen – an unavoidable part of aging – results in skin that is less elastic, and prone to sagging and wrinkles. Sagging skin naturally succumbs to gravity. When the eyelids sag, the eyes suddenly become hidden under hooded lids and are surrounded by fine lines and wrinkles, which may make a person appear angry, tired, or older than they are. Fortunately, eyelid lift surgery is an excellent way to restore a rested, youthful appearance. Some people have eyelid lift surgery in their late 30s while others may do it in well into their 70s or 80s. Most people do the procedure in their 40s and 50s. Some signs that may make you consider surgery include heavy or hooded lids, difficulty applying eyeshadow, and/or when the lids start to obstruct your vision. Most people do not know that eyelid surgery can address eye issues on the upper lid or under the eye. We refer to the procedures as Upper Eyelid Surgery and Lower Eyelid Surgery, respectively. This procedure addresses the excess/overhanging upper eyelid skin and the inner corner fat bulges. Incisions are made in the natural creases of the eye and are well hidden when healed. A conservative approach is taken to avoid looking “done” and, especially for men, to avoid too much lid show (which gives a feminine appearance to the face). Treatment of this area addresses dark circles, fat bulges, and skin laxity under the eyes. Incisions are hidden in the lower edge of the lashes. For those people who have fat bulges, but little excess skin, incisions are made in the inner (eyeball) side of the lower lid. Fat is then able to be removed and sutures are usually not required. Either surgery can be performed under local anesthesia combined with oral sedation alone or together with IV sedation. General anesthesia is not needed. Pain is usually minimal and easily controlled with Tylenol or Ibuprofen. Use of cool compresses and head elevation will help any bruising or swelling subside. Sutures are in place for 7 days. Returning to make-up and contact lenses usually occurs at 10 days post-op. We recommend purchasing new eye make-up as to not introduce bacteria from old products into the healing incisions. Walking may be resumed the day after the surgery. Most people take one week off from work to rest and recover. Aerobic exercise can usually be resumed at 3 weeks post-op Sunglasses and wide-brimmed hat should be used for all outdoor activities. See before-and-after eyelid lift surgery pictures on our website. To schedule a consultation for eyelid lift surgery in Santa Barbara by Dr. Perkins call (805-563-0000). Eyelid rejuvenation surgery is one of the most popular facial cosmetic surgeries done today. In the 2013 statistics on cosmetic procedures (published by the American Society of Plastic Surgeons) eyelid surgery (blepharoplasty) ranked third (behind breast augmentation and rhinoplasty) with over 215,000 surgeries performed in the United States. Some people equate eyelid surgery with cat eyes or “surprised” (overly rounded) eyes. That type of surgery is a thing of the past. Most surgeons, including Santa Barbara cosmetic surgeon Dr. Terry J. Perkins, opt to give patients a much more natural look. Eyelid surgery can be done on the upper lids, lower lids, or both. This blog post will concentrate on the upper eyelids. 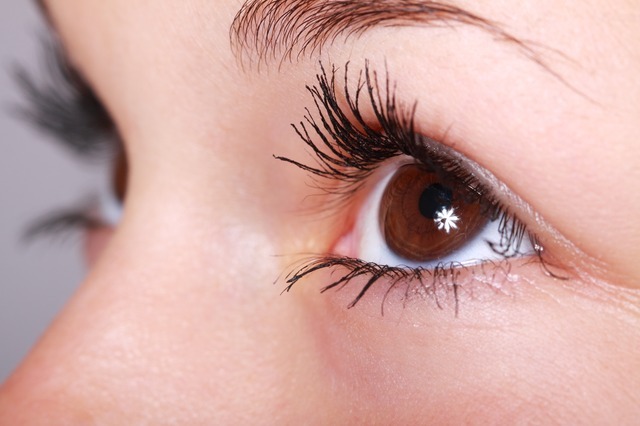 Our blog post from July offers more information on lower eyelid surgery. Most people who are interested in eyelid surgery are interested in making their eyes look more youthful. As age sets in eyelids can become heavy, droopy, or saggy which can make a person look permanently tired, unhappy, or unapproachable. Upper eyelid surgery can correct these problems to restore a rested, youthful appearance. Blepharoplasty of the upper eyelids addresses the overhanging/excess eyelid skin as well as the inner corner fat bulges. Incisions are nicely hidden in the natural creases of the eye. General anesthesia is not needed for this surgery. Upper eyelid surgery can be performed under local anesthesia combined with oral sedation alone or together with IV sedation. Most people take one week off from work to rest and recuperate. Contacts and make-up may be used after 10 days and it is advisable to purchase new eye make-up so as to not introduce any bacteria into the healing incisions. For most patients, aerobic exercise can be resumed at three weeks post surgery. Sun glasses and a wide-brimmed hat should be worn for all outdoor activities. A successful upper eyelid surgery can make a positive difference in a person’s overall appearance. For more information on upper eyelid surgery in Santa Barbara, contact our Cosmetic Surgery Center practice at 805-563-0000. Often your eyes are the first thing another person notices about you. Eyes can convey so many emotions – happiness, sadness, anger, tiredness – without a word being spoken. As we age, the eye area ages too. Whether it’s lack of sleep or irregular sleep patterns, stress, sun damage or collagen and elastin decline, our eyes that were once bright and alert may make us look permanently exhausted, unhappy or angry. There are different ways to address eye concerns. This article is dedicated to help for the lower eyelids but there are options for the upper eyelids as well and you can find out more about upper eyelid surgery in our past blog post. People who want to address the lower eyelid area have usually developed fat bulges, hollows, wrinkles, or dark circles under the eyes. What are the options to rejuvenate this area? Depending upon a person’s situation, they may address under eye issues with Lower Eyelid Surgery or with nonsurgical options such as dermal fillers. Persistent under eye bags are best treated with Lower Eyelid Surgery (blepharoplasty). This surgery will address fat bulges, dark circles, and skin laxity. When a person has excess skin along with fat bulges, a conservative skin removal can be done with the incisions hidden at the lower edge of the lashes. When fat bulges are present with little or no excess skin, the fat is removed through small openings in the inner side of the lower lid. For the right candidate, fat transposition may be done during the surgery which will reposition fat from one area – the “baggy” area – into the “hollow” area under the eye to rebalance the appearance. General anesthesia is not needed for lower eyelid surgery. Dr. Perkins can perform the surgery under local anesthesia combined with oral sedation alone or together with IV sedation. Pain is usually minimal and easily controlled with over-the-counter Ibuprofen or Tylenol. People usually take one week off work for rest and recovery. Dermal fillers (such as Juvederm, Restylane, or Perlane) may be used to temporarily fill under-eye hollow areas or depressions creating a smooth contour from the lower eyelid to the cheek. Fillers can last from 6 months to a year or more (depending on the brand used). Under eye bags may be addressed with Fractional CO2 resurfacing treatment to help smooth the area while encouraging collagen and elastin production. Whether you are addressing your lower eyelid issues by surgical or nonsurgical means, most people report to Dr. Perkins that they are happy with the end result – a happier, brighter, and more alert appearance that makes others see them in a different light! Cosmetic surgeon Dr. Terry J. Perkins performs eyelid surgery (and other facial rejuvenation surgeries) at Cosmetic Surgery Center in Santa Barbara. Call 805-563-0000 for an appointment. Nonsurgical treatments such as fillers and Fractional CO2 can be done at Evolutions Medical & Day Spa in Santa Barbara (805-687-0212). Dr. Perkins is the owner and Medical Director of Evolutions. Your eyes can convey many messages without a word being spoken. If your eyes are sunken or hollow, people may think you are tired or overworked, even if you really aren’t. Hollow or sunken eyes may result from a genetic disposition or from the loss of soft tissue in the face which happens to some people as they age. Either way, sunken or hollow eyes may dramatically alter the appearance of a face, resulting in an “unhappy” look. Use medical grade skin care products to help the skin around the eyes. A vitamin C product (such as Obagi’s C-Serum) can boost collagen synthesis and slow down aging, resulting in firmer, plumper skin underneath the eye. If the skin is thin and delicate, using a retinol (such as Retin-A) can help the skin become stronger. Dark shadows, that often accompany under eye hollowness, can be lightened with hydroquinone. Plump under the eyes with a dermal filler. Restylane and Juvederm, popular dermal fillers, contain hyaluronic acid to replace volume that is lost in the face as we age. A dermal filler can effectively fill the area temporarily (lasting 6 months or more depending on the filler used). Permanently fix the under eye area with lower eyelid surgery (blepharoplasty). Removing a small amount of skin under the eye through lower eyelid surgery can rid the patient of hollow or sunken eyes and result in a smoother contour from the lower lash line to the mid-cheek. Patients of Dr. Perkins who have had this surgery are pleased with the positive difference this surgery makes. Purchase medical grade products for the under eye area at Evolutions Medical & Day Spa. If you are interested in fillers or under eyelid surgery, contact Dr. Perkins at his Santa Barbara Cosmetic Surgery Office – 805-563-000 – for a consultation. Eyelid surgery (Blepharoplasty) is Dr. Perkins‘ and Cosmetic Surgery Center’s surgical highlight for this month. The eyes are often referred to as the “window to our soul” and can give people an impression of who you are without a word being spoken. As we age, sagging skin or fat bulges can make a person appear unhappy or tired, which is not the first impression a person would want to convey. Blepharoplasty (eyelid) surgery can correct sagging skin and fat bulges around the eyes. Removing the excess skin and fat gives a person a more rested, and pleasant, appearance. No need to worry about scars! Incisions are hidden in the natural curves of the eyes, under the eyelashes or even internally, in some instances. Both men and women can benefit from eyelid surgery and the benefits are not just cosmetic. According to a report published in the December 2011 issue of Opthalmology, blepharoplasty “provides significant improvement in vision, peripheral vision, and quality of life activities”. Droopy eyelids can cause a “superior visual field loss of at least 12 degrees or 24%”. Open up your eyes to the world, again, and let everyone see them sparkle through eyelid lift surgery! More eyelid surgery information and before-and-after eyelid lift surgery pictures available on our Cosmetic Surgery Center website. For questions or a consultation with Dr. Perkins, please call 805.563.0000.